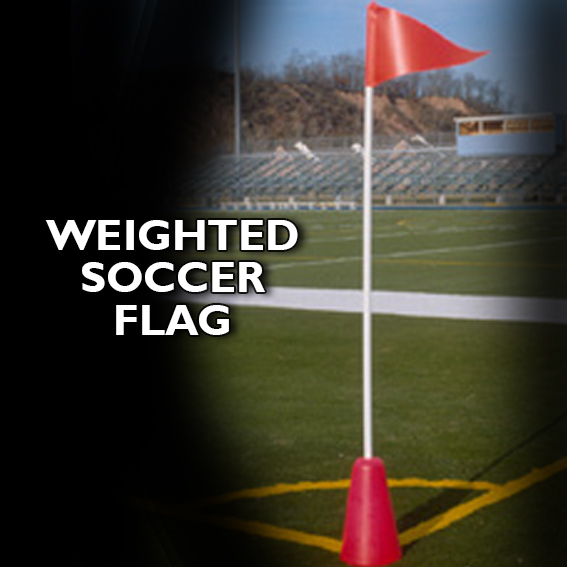 The WEIGHTED SOCCER FLAG is a must for turf fields. Heavy molded foam base. Flexible PVC pole. Fluorescent flag. Overall height 70". Overall weight 17 lbs.